The Jane Addams Children’s Book Awards are given annually to the children’s books published the preceding year that effectively promote the cause of peace, social justice, world community, and the equality of the sexes and all races as well as meeting conventional standards for excellence. Alkek Library’s 3rd floor Juvenile Collection has all award winners and honored titles available for checkout. 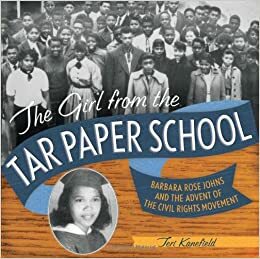 The 2015 award winning titles are Separate is Never Equal for Younger Children and The Girl from the Tar Paper School for Older Children. See other Awards available in Alkek’s Juvenile Collection. The William C. Morris YA Debut Award, first awarded in 2009, honors a debut book published by a first-time author writing for teens and celebrating impressive new voices in young adult literature. The award’s namesake is William C. Morris, an influential innovator in the publishing world and an advocate for marketing books for children and young adults. 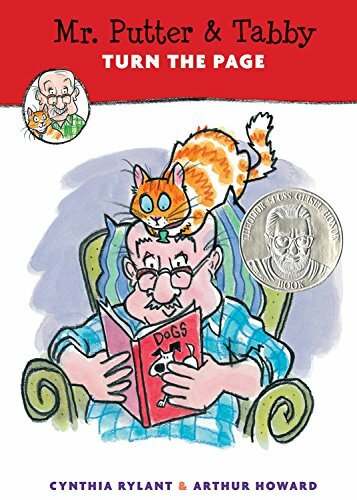 Bill Morris left an impressive mark on the field of children’s and young adult literature. He was beloved in the publishing field and the library profession for his generosity and marvelous enthusiasm for promoting literature for children and teens. This year’s winner is Gabi, A Girl in Pieces by Isabel Quintero. Four finalists were also named. Alkek Library’s 3rd floor Juvenile Collection has all current and previous winners and finalists available for checkout. The Schneider Family Book Award honors an author or illustrator for a book that embodies an artistic expression of the disability experience for child and adolescent audiences. Alkek Library’s 3rd floor Juvenile Collection has all Schneider titles available for checkout. The Wanda Gág Read Aloud Book Award for children’s literature recognizes the best picture book of the year to read aloud to younger children. Picture books for children between the ages toddlers to age eight are considered. Alkek Library collects all Wanda Gág award winners and honored titles. The 2015 winner is A Perfectly Messed-Up Story by Patrick McDonnell; the honor title is Sam & Dave Dig a Hole by Mac Barnett/illustrated by Jon Klassen. Two other awards recognizing notable read-alouds are the E.B. White Read-Aloud award and the Comstock Read Aloud award. The E.B White Read-Aloud award recognizes books reflecting the universal read aloud standards that were created by the work of the author E.B. White in his classic books for children: Charlotte’s Web, Stuart Little, and The Trumpet of the Swan. The Comstock Read Aloud award recognizes the best picture book of the year to read aloud to older children. Picture books for children from the age range of 9-12 are considered. All picture books eligible for the award are field-tested with children. Alkek Library collects all titles recognized by the E.B. Read-Aloud White award as well as the Comstock Read Aloud award. 2015 Edgar Allan Poe Awards Announced! The Edgar Allan Poe Awards, popularly called the Edgars, are presented every year by the Mystery Writers of America. The Edgars honor the best in mystery fiction, non-fiction, television, film, and theater . Alkek Library collects all nominees and award winners in the category of Juvenile/Young Adult. The 2015 winners are Greenglass House by Kate Milford and The Art of Secrets by James Klise. In celebration of Earth Day on April 22nd, many earth day Juvenile books on the 3rd floor are available, including award titles for the Green Earth Book Award. April 24th also marks Arbor Day in 2015. The Juvenile Collection has lots of great books that can be used as a tie-in. Celebrate Poetry Month by sharing the gift of poetry with children. A select number of titles have been pulled and are currently on display in the 3rd floor Juvenile Exhibit. Alongside the display cart of poetry material you can also see the latest books recently added to the Juvenile Collection. Many more recommended, classic, and award-winning children’s poetry books can be found in the Juvenile Collection on the 3rd floor of the library, including awards like the Lee Bennett Hopkins Poetry Award, Claudia Lewis Award, and titles named as NCTE Notable Poetry books. Since April is also Mathematics Awareness Month, how about some math poetry books! The Juvenile Collection has tons of resources that celebrate the achievements of women. Many have already been pulled and are currently on exhibit, especially many of those that were recognized by the Amelia Bloomer Project. Alongside the cart holding the books related to Women’s History Month, you can find many new juvenile books recently added to the collection. Alkek Library Maker Day is Coming Soon! April 30th!